1. Don’t leave your URL / blog link in your comments. Apparently it’s bad SEO for you and the host, and it is annoying. 2. If you join in a linky, and there is a badge, add it to your post, wherever possible. If I haven’t managed to, I usually tweet the host to say so, then add as soon as I can. 3. 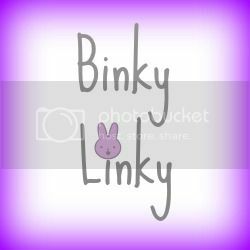 If you join in linkys, do comment on a few others at least . You may think no one notices if you don’t, but they do! 5. Don’t judge what other people write / are happy to support on their blog. We are all different, and they’re not harming you are they! Have you anything to add? I like to see some commenting back – not everytime perhaps (life can get in the way), but sometimes. I think there has to be a basic etiquette to follow, it’s such a big community these days! I think some basic courtesy is important to keep the community strong and healthy. Totally agree about Captcha, I don’t mind logging in to comment on a post, but don’t make me jump through extra hoops because you (generic) find it too much effort to monitor for spam. I also hate pop ups, especially if they’re right in the middle of the page and grey out everything else. I have never signed up on one of those yet and never will, mostly because I’m stubborn, hehe. I’m not a fan of captcha. I always try and comment back on people who have taken the time to leave a comment on my blog. Not having Name / URL option for commenting. I cant comment otherwise gah! Some good tips here. I’d say it’s wise to be as social as possible, and give more (comments etc) than you expect to receive. You’ll get the pay-off eventually! All good points. 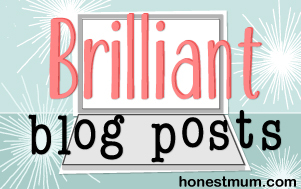 There are so many blogs out there to read and enjoy. I’m glad I’ve discovered yours this morning. Great list! I’m so with you on the linky ones, no badge and no comments really annoy me! It’s like they want something for nothing! Some great tips. Thanks for sharing with us. Great tips! We haven’t had the link in comments thing yet, but I can see how that would be annoying! I totally agree on the pop up ads, so frustrating and busy when you are trying to read!! Great tips. If I don’t have the time to comment on linky’s then I don’t join in. I do differ with the blog comments though I like when people leave me their link i like to know where they’ve come from! Fab post and I agree with this list. I didn’t realise leaving a URL in the comments was bad SEO so have learned something new. I definitely agree with the last one – if you don’t like someone’s blog and what they post on there you don’t have to read it so why be judgmental about it? I personally dislike music and popups! Good tips…it really annoys me when people drop their links all over their comments too!! I feel like such a newbie! I don’t know what Captcha is, I’m pretty sure I don’t have it though since I get shed loads of spam on my blog – mainly about deer antler spray – I don’t know what that is either. I don’t like blogs where I have to go through a long and drawn out process before I can comment. Especially if I’m doing a linky where I’m supposed to comment on the post before mine and I have to spend 5 minutes telling them my entire family history before I can leave my comment. I will go to a lot of effort to comment on a post I have really enjoyed. While I understand the desire to filter out spam, Captcha is incredibly annoying – to the point where it actively puts me off commenting sometimes. Dump-and-run on linkies is also annoying. Sometimes life gets in the way and I will miss out commenting on a linky on a certain day, but as a rule I make a point of trying to at least read as many as I can and comment on at least 5 or 6 per linky. Thanks for this, it’s good to have a sense check every so often to ensure that you’re playing by the rules. I need to comment on visitor’s blood more, but apart from that, I’m good. Good points, but I don’t completely agree with them all. But that’s my opinion of course. I for example don’t mind pop ups, and have that my self. I also don’t mind music as long as I can t urn it off, but I have yet to arrive on a blog that had it haha. I HATE captcha so that we do agree on. As for commenting I try and comment back on everyone who comments on my blog, and I do agree that it’s quite dishearting seeing tons of comments on a blog post and not once has the owner of the blog responded. I do not always use the badge it self in my posts, especially when they are fairly large and take up too much room and I link up to several at a time, it just looks too cluttered and I don’t like it, I do however then leave links in stead to the link ups at the end of the post, which is basically the same. I always # where I am commenting from if I found the blog in a linky or from facebook etc, how else would anyone know where you came from?